Exactly one year and two months ago, I had a knock on the door around this time of day. The people knocking identified themselves as election campaigners, but then a huge crowd of people with a video camera turned on burst in as soon as I opened the door. Because of one sentence on the social network Facebook, the FSB had come in connection with the criminal investigation opened against me. It was my first search and a lesson for the rest of my life. You should never be afraid of anything, and must know and defend your rights. Naturally, pressure was put on me during the search. But it lasted only until they had checked everything and realized that what they had come for was not in my house (nor could it have been there). There was no money from foreign sponsors, no extremist literature, nothing. The only thing that gladdened my visitors was the business card of Elizabeth Macdonald, a US consul in Vladivostok, although I do not understand why it is forbidden to communicate with foreigners. In a daze, I signed the search record (which was also a mistake), and they left. They departed, leaving me with a summons to an interrogation. May it please the court to know that from the outset I considered this criminal case political, and I still do. The charges were filed only to silence me and force me not to voice my personal opinion about the current political situation in the country and the world. May it please the court to learn that when they were conducting their investigation before criminal charges were filed, the investigators from the FSB Khabarovsk regional office during their so-called private chat with me were intensely and primarily interested in my role in organizing a flash mob in Khabarovsk six years in a row to protest the homophobic policies of the Russian leadership. They asked about my friends from the Khabarovsk LGBT community (both generally and about specific people). They asked about my meetings with a representative of the US Consulate in Vladivostok during her visit to Khabarovsk. I stress it was this aspect of my life that primarily concerned the investigators. The investigators were also interested in my political views and my personal opinion about the anti-terrorist operation in the east of Ukraine. But after searching my home and questioning witnesses, the investigators at the FSB’s Khabarovsk regional office decided, nevertheless, to charge me with extremism under Article 280, Part 1 [of the Russian Federal Criminal Code]. May it please the court to hear that the forensic examinations made it clear I am not a terrorist and extremist but a simple Russian citizen who takes to heart all the news happening both to Russian citizens and other peoples. Your honor, when rendering the verdict, I ask you to take into account the propagandistic hysteria that the Russian state media fanned during the summer of 2014. It was in May and June 2014 that round-the-clock hysteria about “Ukrofascists,” “Banderites,” “crucified boys,” and so on wafted from every TV set. Russians were really being zombified. But I had and have the opportunity to get accurate information from different sources, including Ukrainian, European and American news and analysis channels, and programs on the independent Russian TV station Rain and the radio stations Echo of Moscow and Radio Svoboda. It was then that my freedom-loving mind (my whole life has been a struggle for justice, for compliance with human rights and freedoms) revolted against all this, and I decided I could freely express my value judgment among like-minded people and friends on the American social network Facebook, which is not subject to Russian laws. But it turned out (this is in the case file) that my behavior and statements had been monitored for a long while. Although, as a popular blogger, I had heard about total surveillance, it was a shock to me when I learned I was on the list of those being monitored. Your honor, when I posted the statement for which I have been charged, I was not inciting anyone to carry out acts of violence. It was my impulsive and, perhaps, overly emotional response to the rubbish broadcast that night (Far Eastern Time) by Russian state television. And, as follows from the results of the forensic examination (volume 2, pages 9–15), the post was my way of expressing my negative attitude towards a specific group of people in Russia who are supporters of fascism and terrorism, and who forcibly seized the territory of another country, Ukraine. I think that, just like me, every honest Russian citizen has a negative attitude towards this group of so-called volunteers. I should emphasize that, according to legal experts at the SOVA Center for Information and Analysis, the current prosecution under Article 280 is unlawful. “Citizens of Russia [who are] supporters of fascism and terrorism and forcibly seized Ukrainian territory” are not a group protected by anti-extremist legislation and, therefore, the use of violence against this group cannot constitute foul play as stipulated by Article 280. Your honor, I would also like to emphasize that publication of the post mentioned in the charges was nothing more than an expression of my personal point of view. I just wanted to draw attention to the news, to the lies of the propagandists on state television (using their own way of putting things), and to my [Facebook] page. Your honor, as I have said, this case is purely political and was initiated not because of extremism, but because I, being openly gay and a media figure, have been very civically active and express my opinion, which differs from the general ideological line in Putin-era Russia. Editor’s Note. According to Grani.Ru, Judge Galina Nikolayeva adjourned the trial until ten o’clock tomorrow morning, Thursday, October 1. It is expected she will announce a verdict in the trial then. Update. 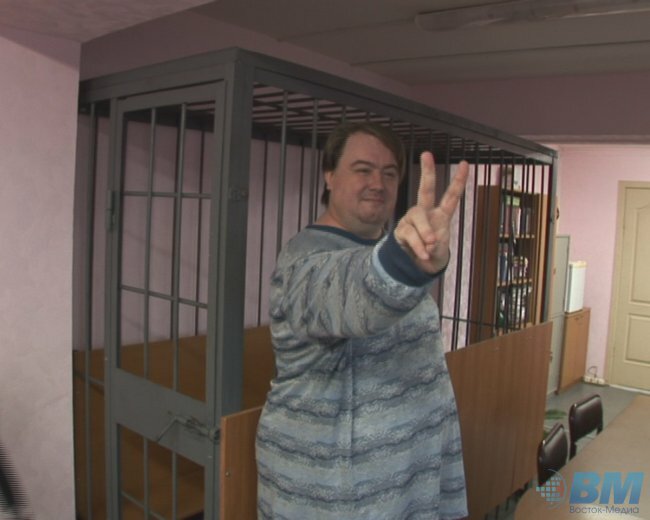 According to an article on the news website Vostok-Media, on October 1, 2015, the Industrial District Court in Khabarovsk found Andrei Marchenko guilty as charged and sentenced him to a fine of 100,000 rubles, but immediately amnestied him as part of a general amnesty celebrating the seventieth anniversary of victory in the Second World War. 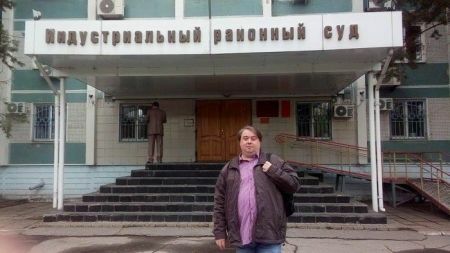 Prosecutor Olesya Demina has asked Khabarovsk’s Industrial District Court to sentence blogger and LGBT activist Andrei Marchenko to two years in an open penal settlement, as reported by Grani.Ru’s correspondent from the courtroom. Marchenko has been accused of extremism for posts he made on Facebook. During closing arguments, defense attorney Natalya Gladych drew the court’s attention to Marchenko’s positive character references, as well as the findings of a psychologist, who concluded that the defendant’s only purpose had been to draw attention to himself and to his position on the war in the east of Ukraine. “Two years in an open penal settlement is an excessively severe punishment given that the evidence presented by the prosecution is insufficient. The prosecutor speaks of Marchenko as an out-and-out extremist, although the man was simply expressing his opinion. The harsh form in which he delivered it was due only to heightened emotionality,” said Gladych. 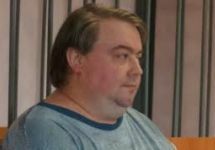 On Monday, the defendant was to make his closing statement, but Judge Galina Nikolayeva unexpectedly adjourned until Wednesday, September 30, when Marchenko will deliver his closing statement and the judge will return a verdict. “I did not expect that the prosecution would request real prison time. There is not a single injured party in the case. There is only the one sentence on Facebook, which did not lead to any real consequences. And for this the representative of the state machine asks the court to sentence me to real prison time,” Marchenko commented to Grani.ru after the hearing. Marchenko has pleaded not guilty and hopes for an acquittal. On June 8, 2014, Trinity Sunday, Marchenko published a post on Facebook dealing with the events in the east of Ukraine. 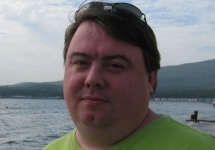 The post was made visible only to Marchenko’s friends in the social network. Nevertheless, it was this publication that led to the blogger’s prosecution. A week before the raid, the blogger had also been summoned to regional FSB headquarters. There he was shown screenshots of a certain site according to which Marchenko and another Khabarovsk LGBT activist, Alexander Yermoshkin, were the founders and masterminds of a “gay terrorist underground” that were pursuing the goal of organizing an “orange revolution” in Khabarovsk. As Marchenko noted, the FSB investigator was “utterly serious.” Marchenko was then asked why he did not like “Novorossiya.” He was told that his numerous posts in support of Ukraine and criticizing the Kremlin were the reason for the FSB’s concern. On September 11, 2014, another five phrases from Marchenko’s summertime posts were sent off for forensic examination. “Including phrases in support of Poroshenko and phrases about the fact that prices are higher but Crimea is ours,” wrote the blogger. Two weeks later, it transpired that Rosfinmonitoring had placed Marchenko on its list of terrorists and extremists. However, the blogger kept his bank accounts only for withdrawing money he earned through official freelance bureaus from the WebMoney system. For many years, these earnings had been Marchenko’s only source of income. Thus, Rosfinmonitoring’s decision left the activist penniless. “Now I don’t even have money for groceries,” wrote Marchenko. The blogger expressed bewilderment at his inclusion in the list, noting that the court had not yet deemed him either a terrorist or an extremist. On December 30, 2014, final charges were filed against Marchenko. NB. Grani.Ru, the opposition news and commentary website that published this article about Andrei Marchenko’s plight is itself banned in Russia as “extremist” and can only be viewed there through VPNs, anonymizers, and mirror sites. 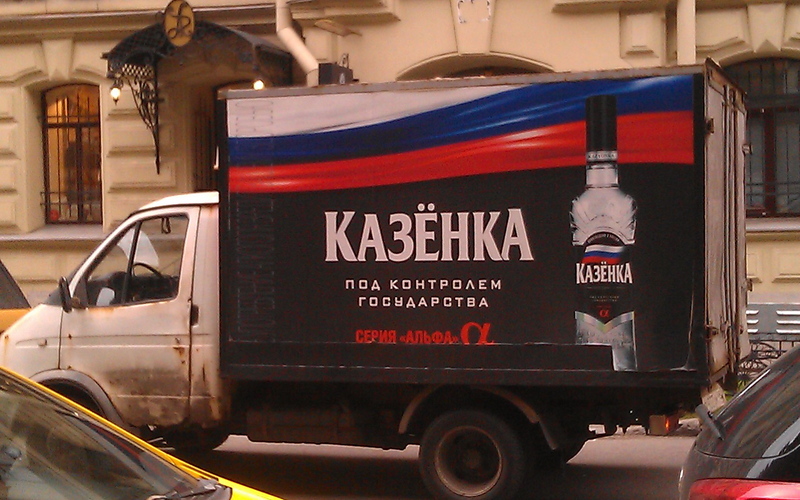 Grain vodka, whose sales were a state monopoly in Russia until 1917; government vodka. State shop for sale of kazënka (cf. 1). A room on a riverboat for the proprietor or his proxy (until 1917 in Russia). In his interview with CBS, Putin was asked how long he intended to remain in power. 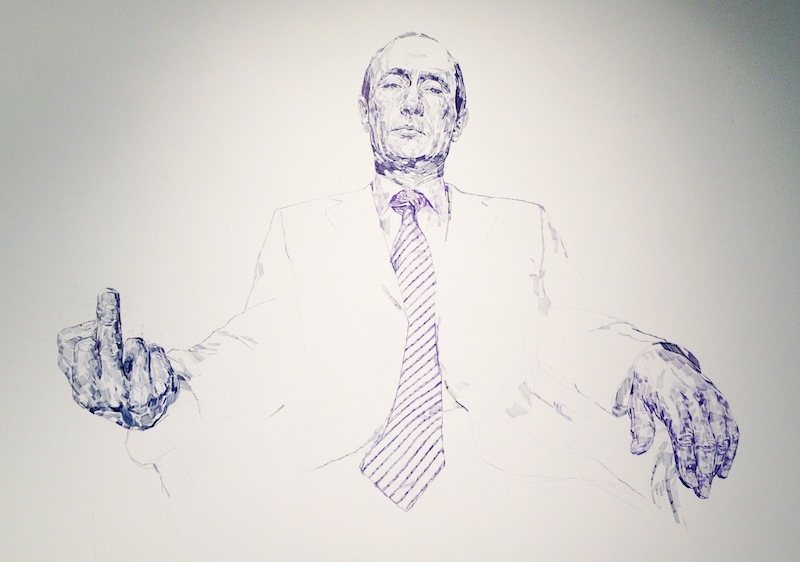 The main problem with Putin is that he has usurped power. And all because if once, “by virtue of the circumstances,” the Constitution was adapted to a particular person, the next time round that person will forget about the Constitution altogether, firmly convinced there is only one law—his mood, his arbitrary will. Incidentally, Putin is well aware that his entire reign amounts to the destruction of order on behalf of tyranny. Otherwise, he would not have led off his reply with something no one had asked him about: the fact his third term is unconstitutional. You can conjure away reality as much as you like, but you cannot hide the truth from yourself. According to Rosstat, Russia exported almost 500 billion dollars’ worth of goods in 2014; oil and natural gas accounted for 42% of this sum. In 2014, oil and gas revenues accounted for 7.4 trillion rubles or 51.3% of the country’s budget. If you look inside the corporate sector, the dependence on the oil and gas sector is even more impressive. According to data from the RBC 500, a rating of the largest Russian companies, released on Wednesday, the total revenue of oil companies in 2014 amounted to 19.8 trillion rubles or 35.3% of the total revenue of all the companies in the rating, but 97.7% of all net profit, or 1.98 trillion rubles. All other sectors accounted for a mere 46 billion rubles of net profit. If only net profit is taken into account as the outcome of domestic business activity, there are, essentially, no other industries in Russia. According to Oleg Buklemishev, director of the Economic Policy Research Center at the Moscow State University economics department, the date once again reveal the key story of the interaction between the Russian economy and the state, the agent that redistributes oil revenues. “The whole history of attempts to diversify the economy has come precisely to this,” says Buklemishev. This once again confirms that talk of diversifying the economy has just been talk, he adds. Andrei Movchan, director of the Economic Policy Program at the Carnegie Moscow Center, thinks there is nothing unusual about all this. “Russia is an exporting country, and all other sectors of industry dwell in the shadows of the oil industry,” he says. According to Movchan, this is particularly noticeable during a crisis, when currency prices for commodities continue to allow the oil sector to profit. The oil and gas sector’s net profit in 2013 was also huge, but not to the same extent. Then it amounted to 79.2% of the overall net profit of companies listed in the RBC 500. “The devaluation of the ruble is having an impact,” explains Natalya Orlova, chief economist at Alfa Bank. Oil and gas companies, which sell their products for hard currency, have weathered the collapse of the national currency better. Buklemishev draws attention to the fact that the beginning of 2014 was generally good for the economy, and the effect of the sanctions and falling oil prices began to impact Russian business in the second part of the year. As late as June 2014, Brent crude oil cost $114 a barrel, which helped the oil sector show good results. It is all a matter of revalued hard currency, argues Oleg Vyugin, board chairman of MDM Bank. “Oil companies are chockablock with hard currency,” he says by way of explaining their brilliant 2014 results. 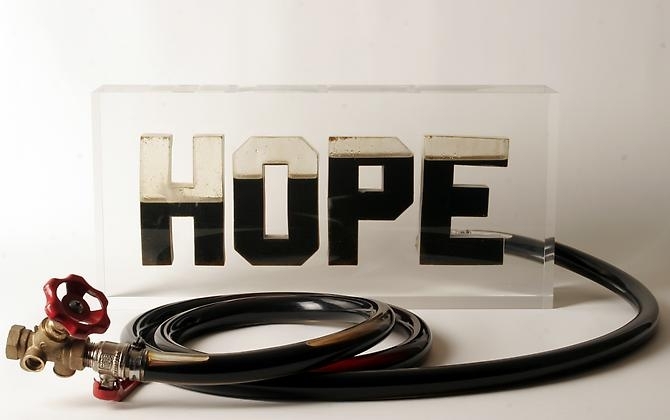 It is no wonder the most profitable company was Surgutneftegaz. Due in large part to its revalued hard currency savings, it made 885 billion rubles of net profit, 43% of all profits among the RBC 500. Falling corporate profits among the RBC 500 companies reveal the crisis more vividly than official data. Profits fell by nearly half (45%) from 2013 to 2014: from 3.7 trillion rubles to 2 trillion rubles. However, according to Rosstat’s data, in 2014, profits of Russian companies fell by a mere 10%, from 6.5 to 5.9 trillion rubles. Moreover, according to official statistics, 72% of companies were profitable, while 28% made a loss. Among the RBC companies, the split was slightly different: 81% were profitable, while 19% were loss making. Movchan argues the difference in the numbers may be due to several factors. There is a “sector bias” in the rating of the largest companies. By the end of 2014, the crisis had not yet reached several sectors, for example, the service sector, which is not represented in the rating due to the absence of large companies there. Buklemishev says the more noticeable drop in profits among RBC 500 companies speaks to the fact that business has been going through difficult times. “Profit is still a controllable variable, and in a bad situation corporations might try and show less profit in order to pay fewer taxes,” he argues. But a revenue growth of 14%—the RBC 500 companies earned 56 trillion rubles in 2014—is merely the outcome of high inflation. “It is practically zero in terms of tangible results,” says Movchan. Oleg Vyugin agrees with him. According to Rosstat, inflation in 2014 was 11.4% and GDP grew by 0.6%. “The RBC 500 data, which show a slight real growth in revenue and a fall in profits, correspond broadly to the situation in the economy,” he argues. There are a few other things worth remarking on in the RCB 500 rating. In terms of revenue (or rather its equivalent, operating income), the financial sector came in second place after oil and gas. Banks and financial companies earned 6 trillion rubles in 2014, outpacing metals and mining. It would seem that a good result for the financial sector testifies to the diversification of the oil economy. Another trend economists are watching is the strong growth and high net profit margins (the ratio of net income to revenue) in the Internet and online retail sector (e.g., Yandex, Yulmart, Mail.Ru Group, and Wildberries). Here, net profit is more than 50% of revenue. The telecommunication sector has also performed well in terms of profitability (11%). With a profit margin of 10%, the oil and gas industry is only in third place. The growth of e-commerce is, apparently, one of the few trends showing that a market economy can develop normally in Russia. Oleg Kuzmin, chief economist at Renaissance Capital, argues that growth in this sector is quite understandable: cash flows from the ordinary goods and services sector are being redirected to the Internet. Another reason is that the public has been attempting to reduce its expenditures by buying cheaper goods on the web. It is no wonder that economists have pointed out the low profit margin in the retail segment—3.5% in 2014. It is interesting to see what yields more profit to foreign companies operating in Russia. Last year, they received 7.2 trillion rubles in revenue here and earned 211 billion rubles in profit. Despite the low margins, most of their profits came from retail trade (17%), the production and sale of alcohol and tobacco (17%), and finance (10.8%). How is that not a diversified economy within Russia’s oil economy? MOSCOW, Sept 23 (Reuters) – Russia has rebuffed calls for a more ambitious plan to cut its carbon dioxide emissions after environmentalists branded its current pledge inadequate and backward looking. The world’s fourth largest emitter of greenhouse gases, Russia pledged in March to keep its emissions at 25–30 percent below the level it generated in 1990, the year before the Soviet Union and its vast industrial complex collapsed. Green groups say the pledge, made ahead of a global warming summit in Paris in December, is far too easy for Moscow to fulfill because 1990 was a time when Soviet industry was a notoriously prolific polluter whereas Russia’s industrial base today is much smaller. A group of four global climate research groups, known collectively as Climate Action Tracker, have rated Russia’s pledge as ‘inadequate’, worse than the ‘medium’ assessment they have handed out to other big polluters such as China, the United States and the European Union. But President Vladimir Putin’s top adviser on global warming dismissed such criticism during an interview on the sidelines of a Moscow meeting of the United Nations’ International Panel on Climate Change this week. “It is their opinion, it does not reflect anything and is not objective,” Alexander Bedritsky told Reuters, saying Russia would stick to its current plan. It is unfair to compare the Kremlin’s commitments to those of developed economies such as the United States or European Union member states because Russia is still an economy in transition, he added. Russia’s pledge stresses the importance of increasing energy efficiency and boosting the use of renewables. “If the contribution of Russian forests is fully taken into account, limiting greenhouse gas emissions to 70-75 percent of 1990 levels by 2030 does not create any obstacles for social and economic development,” it says. With its gigantic reserves of oil, gas and coal, Russia emits 2 gigatonnes of CO2 equivalent a year, making it the fourth largest producer of greenhouse gases after the United States, China and India. According to Greenpeace, 85 percent of CO2 equivalent emissions in Russia come from its energy industry. They and other green groups say Russia’s current programme is far too unambitious because the Soviet Union was on the brink of collapse in 1990—the year the programme is pegged to—and its greenhouse gas emissions therefore fell sharply as the country’s industrial base shrank. “This pledge is a tragedy, a catastrophe,” said Vladimir Chuprov, head of Greenpeace’s energy programme. 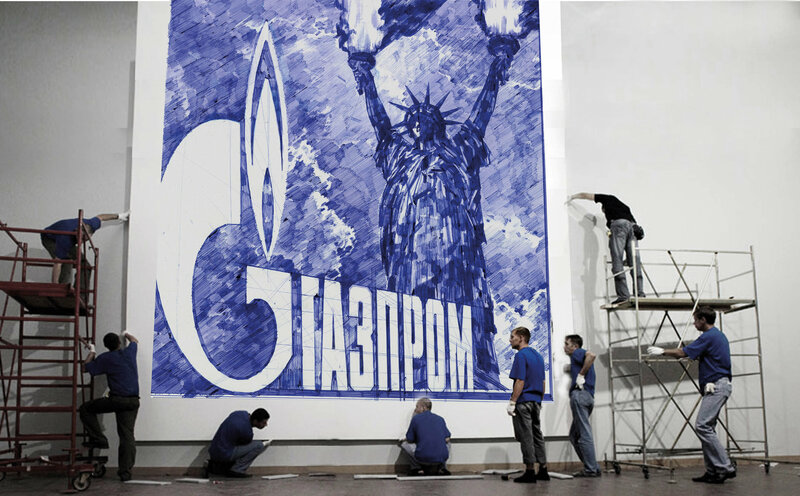 Chuprov and fellow environmentalists want Russia, the world’s biggest country by territory, to do much more, noting that its richest company—state-owned Gazprom—is the world’s leading corporate emitter of greenhouse gases. Specifically, Chuprov says Russia needs to expand its use of renewable energy and try to develop new power generating technologies or risk missing out on another technological revolution. Currently, Russia gets 90 percent of its energy from carbon fuels such as oil, gas and coal, Chuprov said. Green groups estimate that only around 1 percent of the country’s energy needs comes from renewable sources. Green groups such as Greenpeace or the World Wildlife Fund complain that central government in Russia does not consult them enough when it comes to formulating climate change policies. Under its existing plan, Russia would fail to meet the goal set out by the United Nations’ International Panel on Climate Change to cut emissions to 50–80 percent below 1990 levels by 2050, he said. Bedritsky said Russia was already making good progress and that its greenhouse gas emissions would peak at 25 percent below 1990 levels by 2020. They will then fall or stay flat until 2030, he added. Petersburgers, Stop the “Social Bombardment” of the Population! Our President has made significant progress in the struggle to return the sovereignty lost by our country after the defeat of 1991. The United States could not remain indifferent to a colony’s desire to gain independence. The decline in oil prices, the coup in Ukraine, and the sanctions are all episodes in the economic war declared by the West against our Motherland. As a result of his commitment to a national course for the country’s development, the head of state’s rating has reached a historic high. 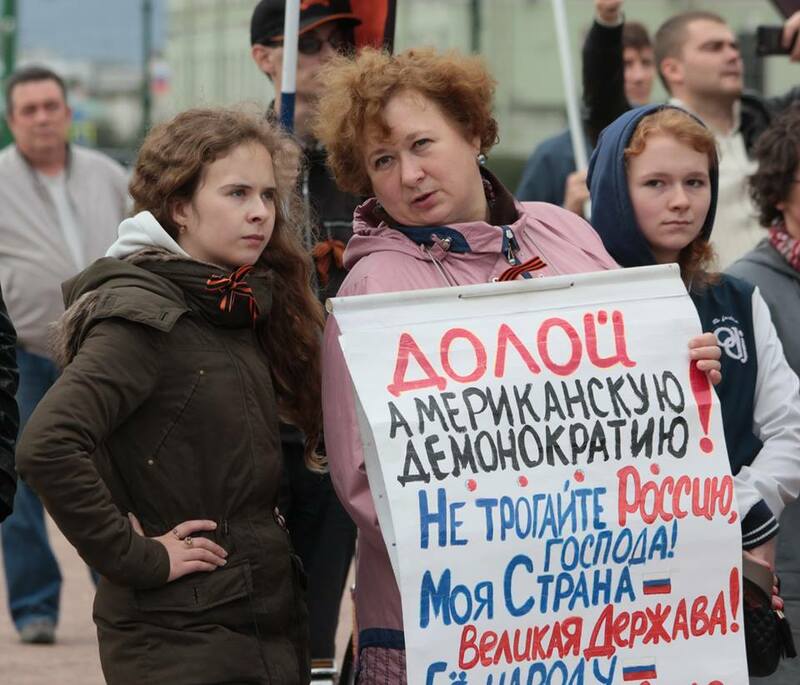 Contrary to the expectations of enemies, the people love Vladimir Vladimirovich for his merits. Therefore, the West has moved on to the next phase, “social bombardment.” The dismissal of police officers, layoffs of doctors, cancellation of welfare benefits, increases in utility rates, and so on are all aimed at undermining our leader’s rating. The Central Bank is a vital link in the external governance of our country. Under the Constitution, the Central Bank is independent from Russian state authorities. And, according to international agreements, it is subject to the instructions of the IMF. As a consequence, loans in Russia are expensive, the President of Russia’s orders for de-offshoring the economy have been sabotaged, the exchange rate has collapsed, and, along with it, so, too, has the country’s economy. Let us unite in the face of external threats! 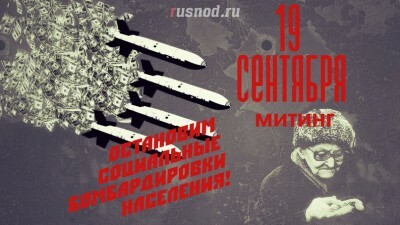 Stop “social bombardment”! Let’s express our support for the national leader Vladimir Vladimirovich Putin! Source: Russian National Liberation Movement (NOD) website. Translated by The Russian Reader. See my previous posts about NOD. I hate to get down and dirty with you all, but this is what the current prime minister of Australia actually looks like. His name is Malcolm Turnbull, and he is the new leader of the Liberal Party of Australia, which currently governs Australia in coalition with the National Party of Australia. Mr. Turnbull is new at his job, because he ousted the rather wretched Tony Abbott in what the Australians quaintly call a “leadership spill” less than a week ago. While I don’t like Mr. Turnbull’s politics for the most part, he will be a real improvement over Mr. Abbott, if only because he is less prone to saying and doing blatantly stupid and awful things. Mr. Turnbull comes across as an intelligent, affable and well-spoken fellow. I wonder whether events like this ever make the news in Russia, because frighteningly large numbers of Russians think that Kevin Rudd (of the Australian Labor Party) is still the prime minister of Australia. Or, alternately, they think that John Howard (Liberals) or Julia Gillard (Labor) is the prime minister of Australia. Историческое тайное решение о ликвидации еврейского народа принимали правительства перечисленных выше государств на конференции в Эвиане и неких тайных совещаниях. . И сегодня, когда над миром, над всей Западной цивилизацией нависла исламская угроза Третьей Мировой войны для Европы и Америки, пора опомниться и присоединиться к Австралии и Японии и остановить самоубийство человечества. I won’t even bother to translate this fake crap into English. If you are curious, go to Google Translate and let the smart robots there do the hard work for you. The Australian prime minister has done it again! This man should be appointed king of the world… Truer words were never spoken. God knows that real Australian prime ministers have done and said a lot of really awful things in their time, although, if actual truth be told, besides being remembered for being a fairly goofy customer himself, Mr. Rudd is also remembered for his apology, in parliament, to Australia’s Indigenous people for the so-called Stolen Generations. Again, that is not the point. The point is that there are rather vigorous forces in Russian society, both at the top and the grassroots, who are keen on putting the most dire spin on current events while also fostering the illusion that their bleak outlook or their own aggressive, imperialist policy has lots of fans in the outside world. If you are wondering why Kevin Rudd (or, rather, the “prime minister of Australia”) is such a folk hero on the Russian internets, the simple answer is that not enough Russians speak or read English well enough to be able to sort out hoaxes like this. In more vegetarian times, this would not have mattered as much, but now the Kremlin has been actively priming the pump with fake news and commentary via its “active operations” on social media. I hope to be describing another such recent hoax, involving a non-existent Finn named Veikko Kerhonen from Oulu, in the next day or so. Here is a sample of the imperialist Russian screeds this non-existent Finn is into posting, exclusively in Russian! 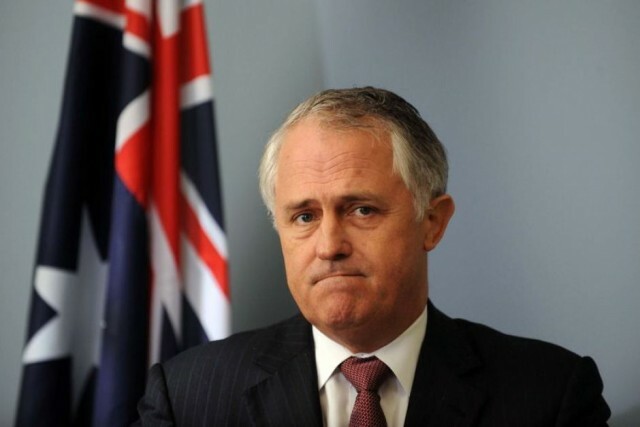 In the meantime, you can reread my recent, obviously futile attempt to expose the “Australian prime minister” canard.